#Russia's state TV: Foreign Ministry spokeswoman, Maria Zakharova, resorts to outright insults, diplomacy is out the window at this point. She says that "Theresa May's complaint that Moscow's response is an affront to common sense means that it wasn't directed at her personally." Apologies for my long absence. Henry had me imprisoned in Old Sarum, alongside a couple of Russians who claimed to be pilgrims. Probably one of the greatest intelligence blunders of all time. The Russian GRU gave the alleged Salisbury poisoners plus 38 other suspected GRU agents consecutive passport numbers. Now they can be identified and tracked to their respective missions. British spies are likely to have hacked into Belgium’s biggest telecommunications operator for at least a two-year period on the instruction of UK ministers, a confidential report submitted by Belgian prosecutors is said to have concluded. The finding would support an allegation made by the whistleblower Edward Snowden five years ago when he leaked 20 slides exposing the targets of hacking by the British intelligence service GCHQ. According to unconfirmed reports in the Belgian media, the federal prosecutors’ report suggests the hackers closed their operation within a matter of minutes of being exposed in August 2013. It is believed the interception of Belgacom, now Proximus, had been ongoing since at least 2011. The justice minister, Koen Geens, has confirmed he has received the report and that it will be discussed within the national security council, led by the prime minister, Charles Michel. Karapetyan was intimately familiar with some of the most notorious operations carried out under the orders of Vladimir Putin. He worked closely with Veselnitskaya as well as running some of Moscow’s most high-profile efforts to thwart international investigations into Russia’s alleged crimes. It seems like open season on the GRU. Kanev's reporting was funded and published by Kremlin opponent Mikhail Khodorkovsky's Dossier Project, and also released by Russian independent broadcaster Dozhd TV. The details of the report couldn't be immediately verified. But it fits in a pattern of embarrassing exposures that has caused some to question the GRU's professionalism - and highlighted corruption that has allowed leaks to occur. The communist intelligence service in Prague stepped up its spying campaign against Donald Trump in the late 1980s, targeting him to gain information about the “upper echelons of the US government”, archive files and testimony from former cold war spies reveal. Czechoslovakia’s Státní bezpečnost (StB) carried out a long-term spying mission against Trump following his marriage in 1977 to his first wife, Ivana Zelníčková. The operation was run out of Zlín, the provincial town in south-west Czechoslovakia where Zelníčková was born and grew up. Ivana’s father, Miloš Zelníček, gave regular information to the local StB office about his daughter’s visits from the US and on his celebrity son-in-law’s career in New York. Zelníček was classified as a “conspiratorial” informer. His relationship with the StB lasted until the end of the communist regime. New archive records obtained by the Guardian and the Czech magazine Respekt show the StB’s growing interest in Trump after the 1988 US presidential election, won by George HW Bush. The StB’s first directorate responsible for foreign espionage sought to “deepen” its Trump-related activity. From the first revelation that the Marriott’s computer systems had been breached, there was widespread suspicion that the hacking was part of a broad spy campaign to amass Americans’ personal data. Monica Witt allegedly defected after attending Iranian conferences. More than a year before she allegedly defected, U.S. Air Force counterintelligence officer Monica Witt attended a film conference in Iran – an event that U.S. officials and former intelligence officers said was likely a recruiting ground for Iranian spy masters. 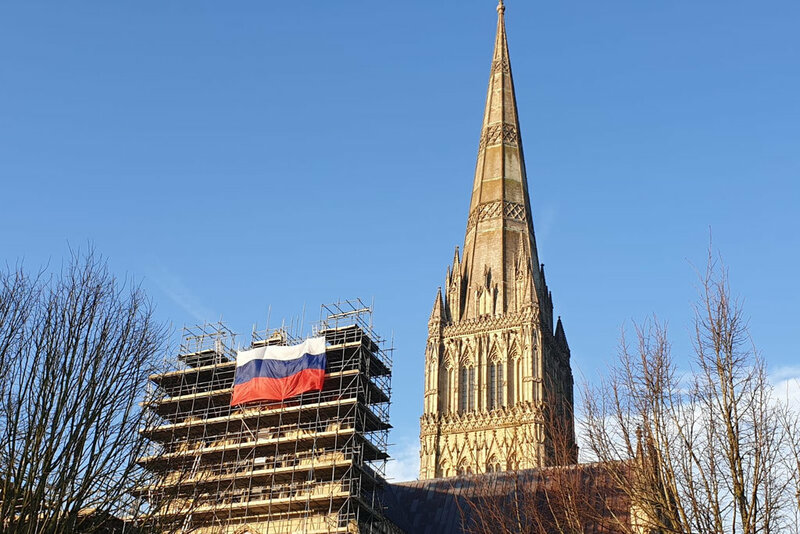 LONDON — Two weeks before the anniversary of a nerve agent attack against a former Russian spy in Salisbury, England, someone unfurled a large Russian flag on the city’s cathedral overnight, in what residents took to be a mockery of the ordeal they suffered last year. Images of the Russian flag, fluttering from scaffolding around the cathedral, were widely circulated on social media. It was not clear who climbed the scaffolding surrounding the building to put up the flag, which was hastily removed Sunday morning. The authorities have not yet made any comment on the case. The attempted assassination of Sergei V. Skripal, a former Russian spy, with a military-grade nerve agent on March 4, 2018, upended life in Salisbury for much of last year. Mr. Skripal and his daughter, Yulia Skripal, survived the attack, but the city suffered sprawling collateral damage. It was just a week after my return from Spies, Lies & Nukes, a weekend espionage seminar hosted by former CIA agent Valerie Plame in November at a hotel in downtown Santa Fe, when one of the conference attendees — let’s call him Snow Goose — buzzed my cell with some urgent news. He wanted me to know that, based on his professional judgment, honed over decades in covert intelligence, one of our fellow guests at the conference was now playing for Moscow. His evidence was far from conclusive: Now officially retired, the other spy — call him Copernicus — had simply stated the opinion, to anyone who would listen, that presumed Russian meddling in the 2016 election on behalf of the Trump campaign was overblown. He’d pushed the same line in a private conversation with me. To Snow Goose, Copernicus’ arguments hewed suspiciously close to Kremlin spin. “I know what it looks like because I used to to do it myself, for our side, ” he told me on the phone. He said he planned to alert the FBI, just to be prudent, and warned me not to be surprised if I got a call from the bureau asking about my one-on-one chats with Copernicus. I thanked him for the warning. The Duke of Cambridge spent three weeks embedded with MI5, MI6 and GCHQ, agencies responsible for domestic and foreign security. 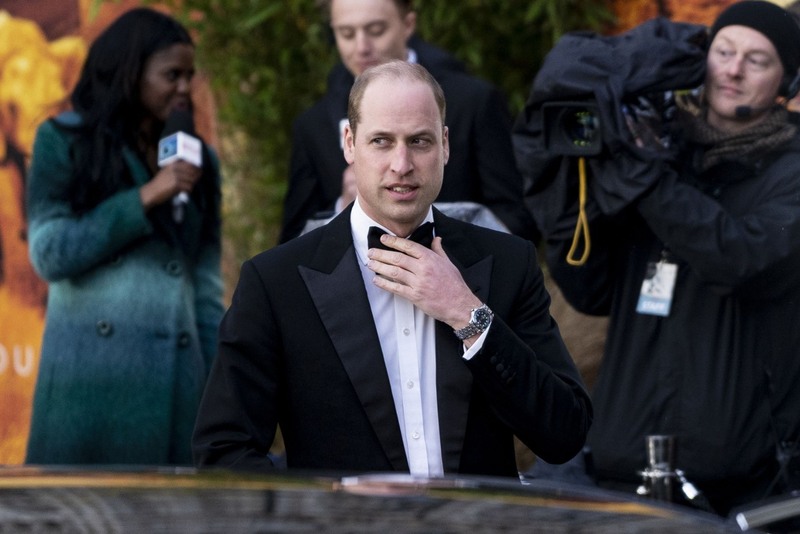 LONDON — Prince William, Britain's second in line to the throne, enjoyed a brief stint with the U.K.'s security and intelligence agencies last month. The Duke of Cambridge spent three weeks embedded with MI5, MI6 and GCHQ, agencies responsible for domestic and foreign security, to see how they operate first-hand. “Spending time inside our security and intelligence agencies, understanding more about the vital contribution they make to our national security, was a truly humbling experience," William said in a statement released by the royal family late Saturday. "These agencies are full of people from everyday backgrounds doing the most extraordinary work to keep us safe. They work in secret, often not even able to tell their family and friends about the work they do or the stresses they face," the royal said. The Sunday Telegraph newspaper reported that the father-of-three — who previously trained as a helicopter pilot with the Royal Air Force — worked with analysts and investigators monitoring Islamist terror cells and is understood to have worked actively in the field as well as in the office.